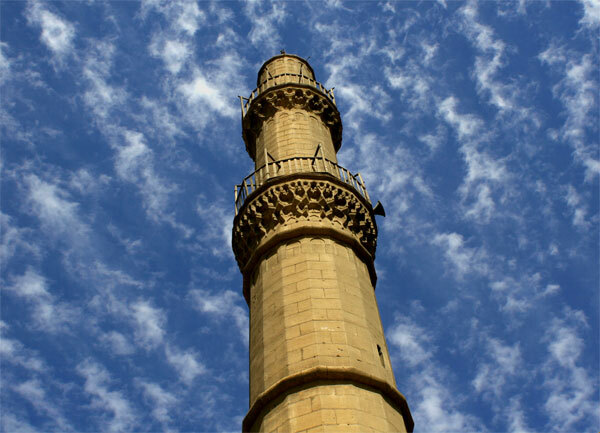 Though I have often seen the Citadel — the fortress on the hill overlooking Cairo, with its commanding towers and the domes and minarets of the impressive Mosque of Mohamed Ali — I had never before been inside its walls. 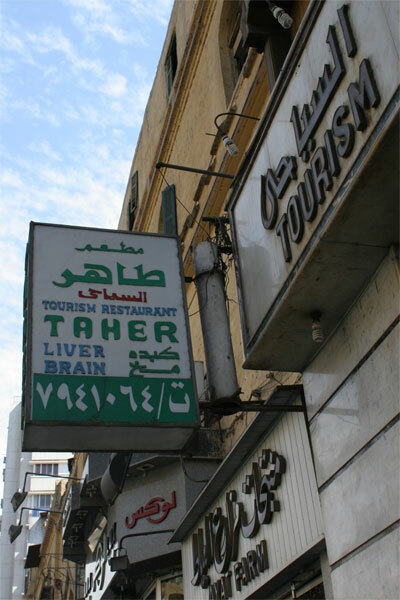 I first stood outside it when shooting a documentary here in 2003. 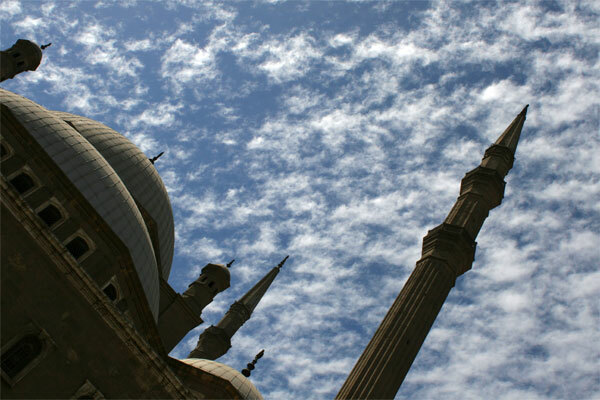 At that time, I was most interested in vistas that would give me a panorama of Cairo with the minarets in the foreground. Today I joined a tour with other faculty from AUC, led by the Historian Dr. Chahinda Karim. She took us inside the sprawling complex — now partly converted into military museums — and led us on a chronological journey of what was the home for Egypt’s rulers spanning 700 years. 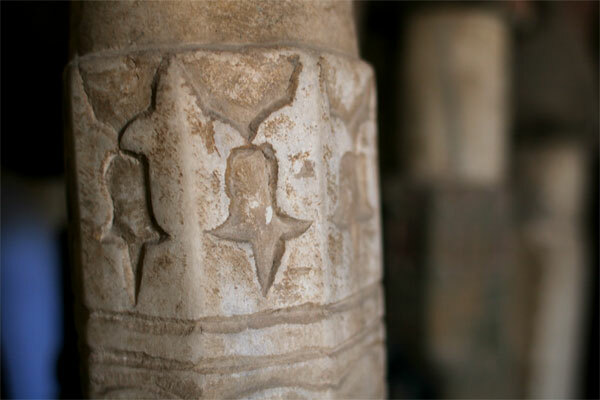 She began with the remnants of the earliest buildings on the site, first developed by Saladin in 1176. 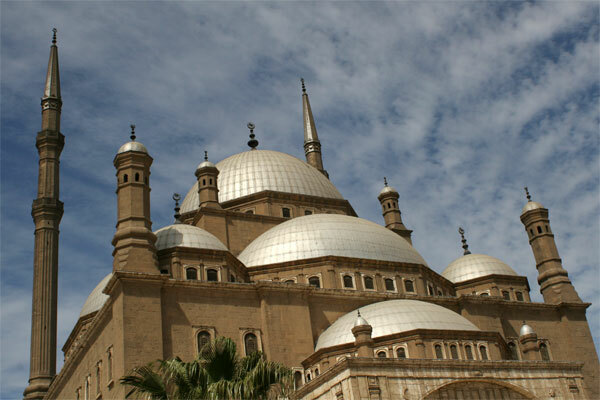 The tour traveled in time through the Ayyubid dynasty of Saladin, to its overthrow by the Mamluks, who added additional palaces and walls, though only one building, a mosque (built in 1318), remains. 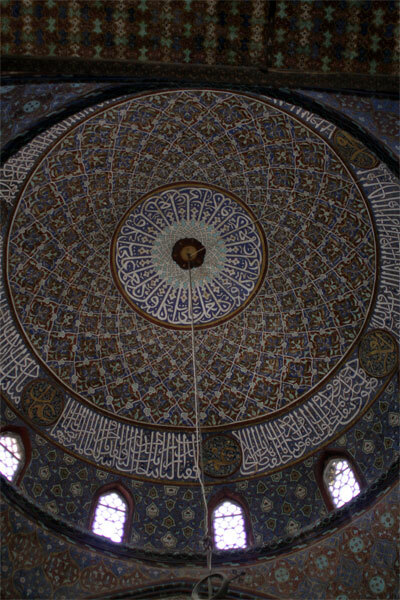 Then on to the Fatimids, and after that, the Ottomans, including the mosque of Suleiman Pasha (1528), with its brightly painted walls and ceilings and a crypt with peculiar grave markers modeled as hats to denote the rank of the individuals buried there. 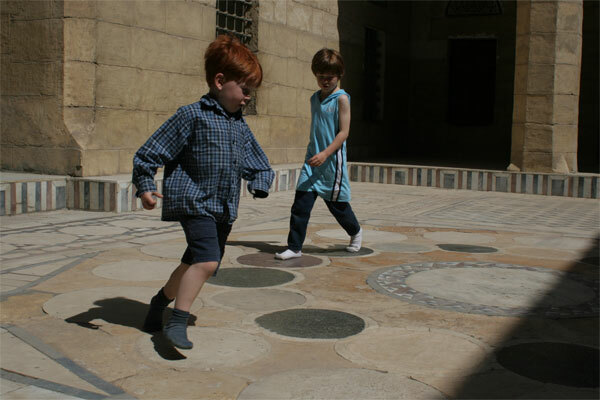 The children on our tour jumped and ran in the little courtyard between the mosque and the crypt. From there, we wandered through the renovated gardens and barracks turned into museum buildings. Finally, we entered the grand mosque of the ruler Mohamed Ali (completed after 18 years of work in 1848), a building modeled after the blue mosque in Istanbul. Inside, its alabaster walls lead up to beautiful domes with radiant green ceilings. 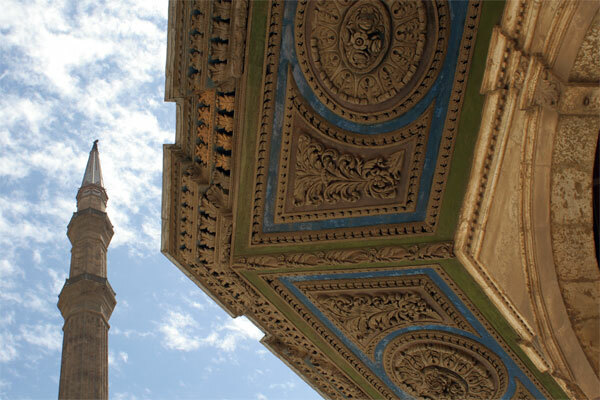 You can see the French influence of the European-trained builders of the mosque, which is why it’s referred to as a “Church Mosque.” Inside, school groups mingled with tour groups. 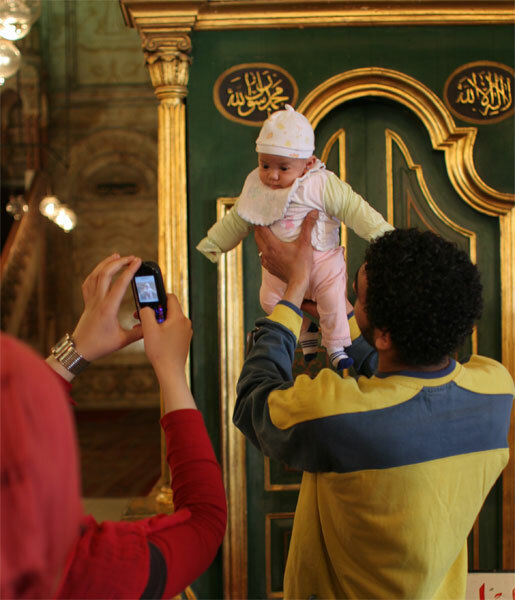 A young couple took a picture of their recently born child in front of the mosque’s mihrab (an altar where the imam stands). 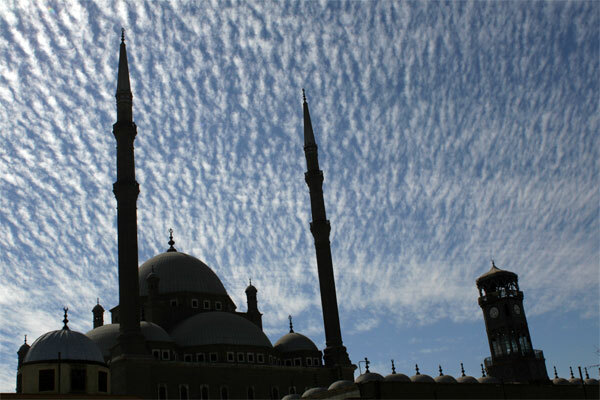 But to my wanna-be-photographer’s eye, the most striking thing today was the clouds, sketched in almost impressionistic blotches, drifting in formation, giving the deep blue sky an added dimension not normally captured in my photos of Islamic sites. It made me get all artsy and stuff. 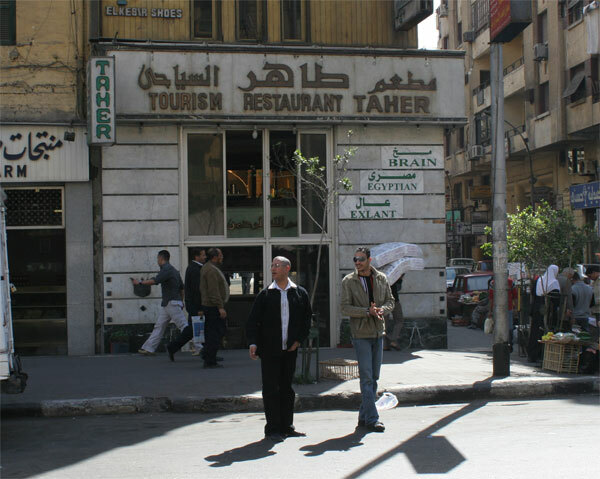 Taher Tourism Restaurant is in downtown Cairo about two blocks from the American University campus. 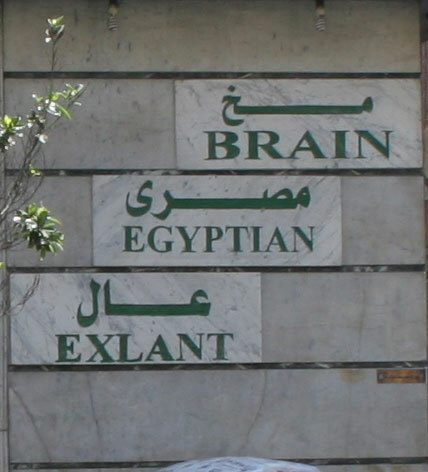 I’ve been assured they don’t serve the brains and livers of real Egyptians (kind of like how Girl Scout Cookies are not made from real Girl Scouts). And it came from a 60 year-old woman, one of my students who has spent a lot of time in America, but who now wears the hijab and long skirts of the most conservative women of her Muslim sect. Though we’re quite different, we usually get along pretty well. Last week, she crossed the campus to find me before our class joined a screening of a documentary film. “I try not to listen to it,” she said. Before I go further, I need to tell you that this student’s strict views are shared by only the slimmest minority of Muslims, and are not a commonly held tenet of Islam. 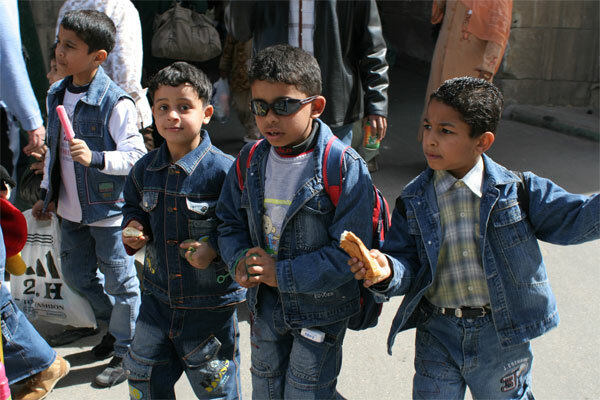 Clearly, in Egypt, music is a great part of a culture with a long history of musical stars from Om Kalthoum to Amr Diab. 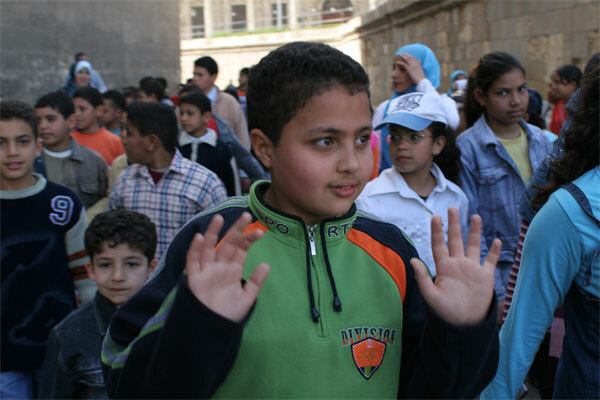 When I was in Lebanon, the young protestors in the Hezbollah section of the camps who’ve commandeered the downtown of the Capital, danced and played drums to pass the time. The Oud. The tabla. The flute. All of these instruments are widely played and enjoyed throughout the Islamic world. But I went into the screening of the documentary that day in a bit of a daze. Had I really just had that conversation? In a world where music-making is haram, clerics would wrestle the baton from Simon Rattle before he could lead the Berlin Philharmonic on the stage at Carnegie Hall. 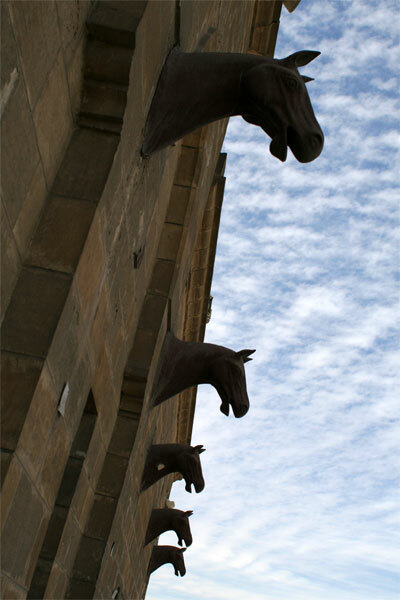 There would be no Italian Opera. No talking drums. No Tuvan throat singers. No Nusrat Fateh Ali Khan. No Peter Gabriel. No Ella Fitzgerald. No Elvis. No Beatles. Not a world I’d want to live in. It would all be over if the Fat Lady can’t sing.